Myanmar and India share an umbilical relationship going back to the British era when they were ruled as one nation till 1937. The cordial relations continued even after both countries became independent almost at the same time and embraced democracy. On the other hand China-Myanmar relations have seen a lot of undulations in the last 70 years of Myanmar’s existence. However in the last three decades there has been a total flip in the relations leading to Myanmar’s Military regime becoming almost a coloney of China. The restoration of democracy in 2015 elections saw the return of a civilian government, heralding a new era of development and changes. The recent times has seen the lifting of economic sanctions by the western world and thus lowering of dependency on China. Undoubtedly the two Asian giants, India and China have strong strategic interests in Myanmar. 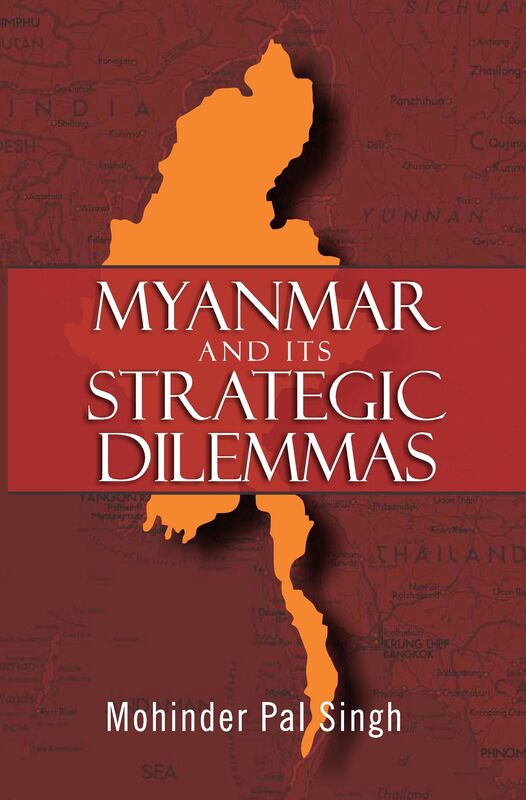 While maintaining their newly formed identity, Myanmar is deftly engaged in the balancing relations with them. This book will take you through the journey of these relations and bring to fore what measures can be taken by India to take these relations to a new high. Col Mohinder Pal Singh, Ph.D is an alumni of St Xaviers College, Mumbai , IIFT New Delhi and Allahabad University. He did his doctorate in International Strategic Relations with specialization in studying China-Myanmar Relations. He has individually authored three books and published many articles on international relations in reputed journals, websites and in edited books. He lives in Greater Noida.